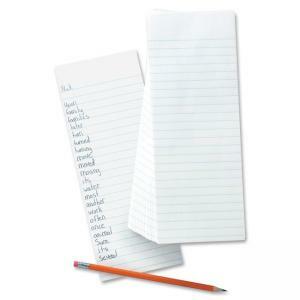 Pacon Quality Writing Paper - 500 Sheet - 16 lb - Ruled - 4" x 10.50"
Media Size: 4" x 10.50"
Quality writing paper is excellent for themes and penmanship. 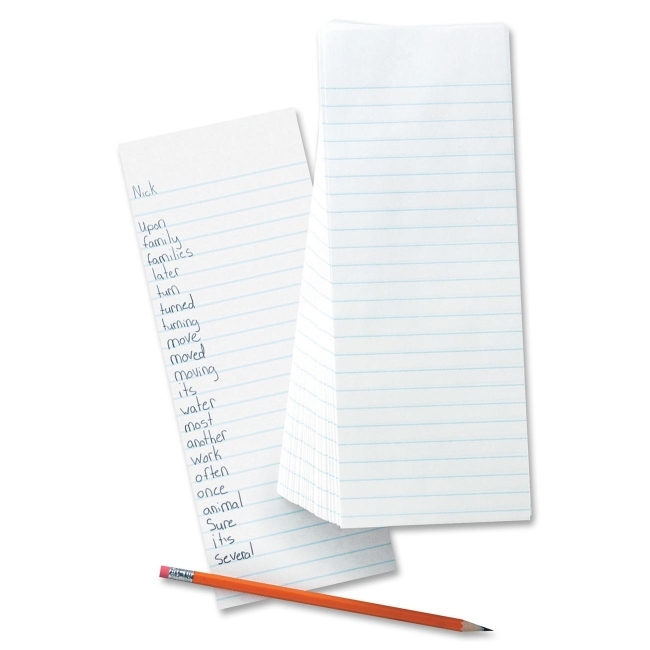 Clear, smooth white bond is 3/8" ruled on both sides and is great for spelling practice. Recyclable, spelling slip paper is not hole-punched.